• Tour-inspired compact head shape. • E9 Face Technology Enables weight to be moved to provide a thicker section behind the typical impact area as you progress through the set. • Multi-material construction with tungsten cell weighting. • Long and mid irons feature heavy tungsten in the heel and toe providing a higher MOI for greater distance and control. 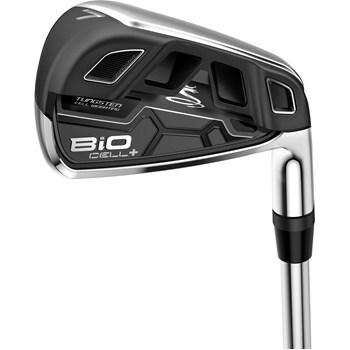 • Short irons feature tungsten centered behind the hitting area for control and feel. • Perimeter undercut design provides a large unsupported face that is thin with more flex at impact for increased ball speeds.